These soft, lightweight t-shirts are a great way to share your pride in the beauty of Cook Inlet. 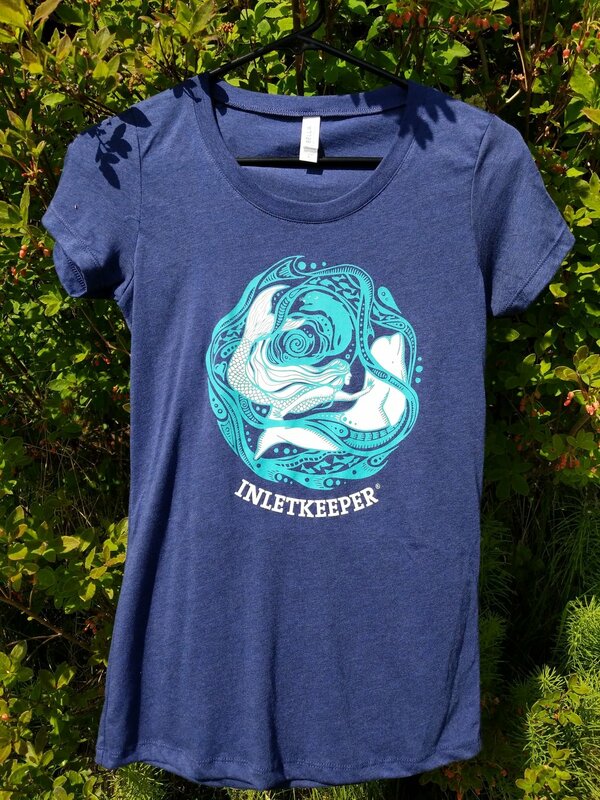 Available in a slimmer women's cut (image shown; runs small, recommended to size up) and standard unisex cut, these shirts make great gifts for the Inletkeepers in your life! Available in "sea breeze" color only.